Take a slice of Mumbai city, thin or thick, narrow or broad, and you will find a bit of everything – tightly juxtaposed and cosily nestled. A high-tech office space next to a dense exotic bazaar, with people sharing services and personnel are not trapped in contrasting typologies but cross-wired intricately into each other. 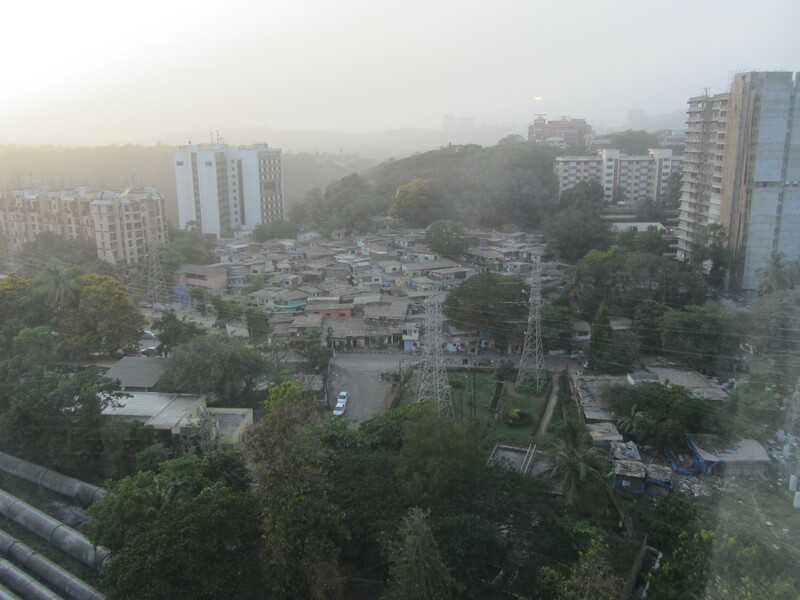 Imagining different worlds co-existing with cold indifference is a tempting interpretation to make about Mumbai – until you start paying attention to the way in which people traverse firewalls all the time. At first glance, the view from a permanently fastened glass window of a five-star hotel, in a recently developed northern part of the city, has potential to create a lot of medieval drama. The view looks down landscaped gardens, bounded by compound walls. 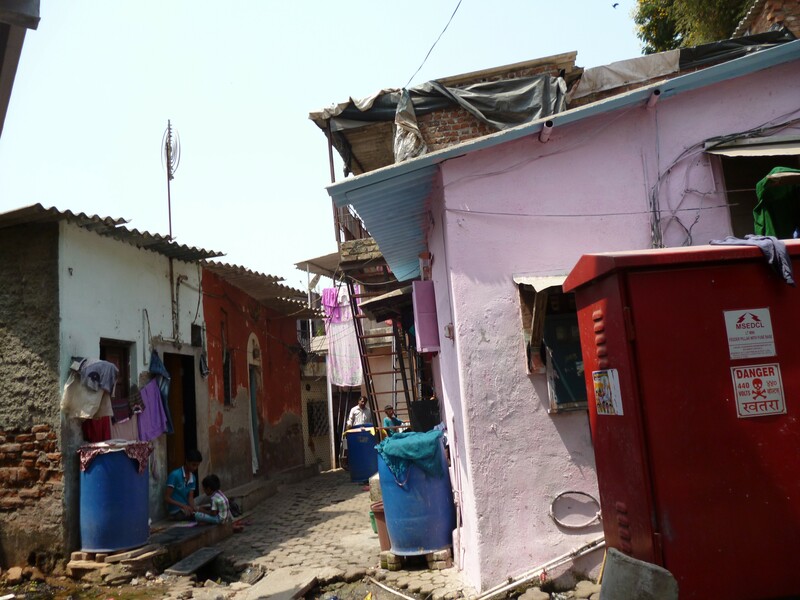 Just beyond the boundary, clutching a small hill, the average client of the hotel, sees a typical homegrown neighbourhood, which she has been conditioned to believe is a slum. 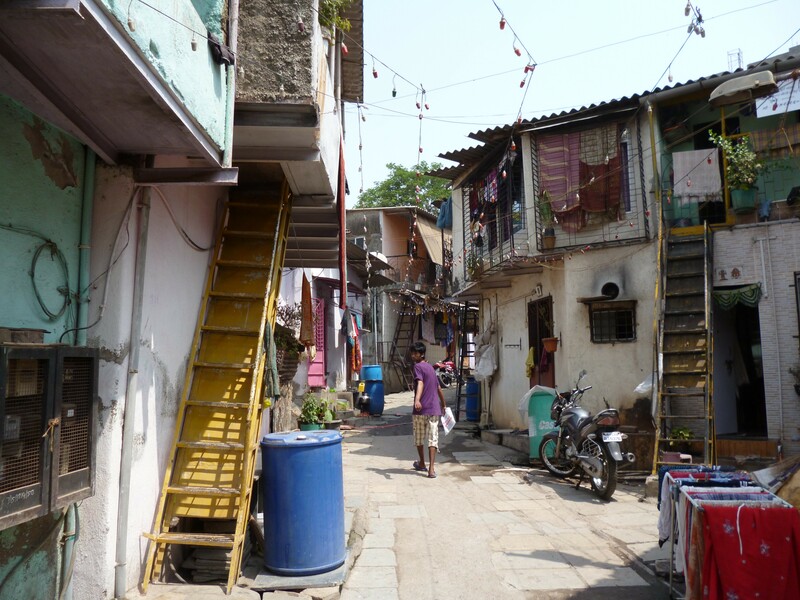 The slum of global urbania – cesspools of crime and dirt and all that is gone wrong with cities today. The proximity and contrast is disconcerting. It is easy for her imagination to edit real and cinematic memory and visualize hordes of angry dwellers from the slums jumping across the water pipes and compound walls to dive straight into her room. She is suddenly relieved about the permanently shut window and well-guarded gates surrounding the hotel. The client is here on a conference, which the hotel specializes in. Her accompanying colleague stays in a room with a more expensive view. It overlooks a lake surrounded by a skyline that seems to be a live projection of Hong Kong or Singapore. 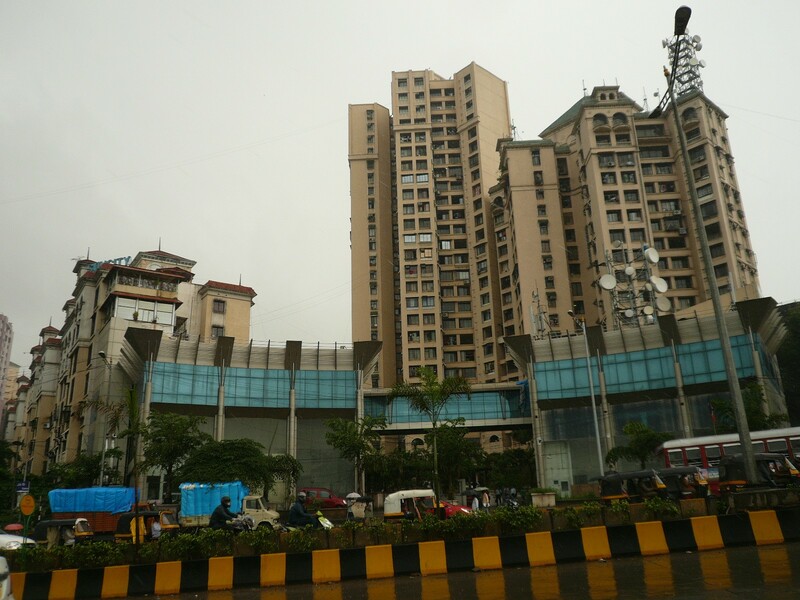 In reality it is made up of expensive real estate projects built on land reserved for low-income housing. When the two hotel residents take a break from the conference to buy gifts, they go there. They can be forgiven for believing that they have indeed traversed into a low-income housing complex, notwithstanding the Manhattan high prices of the neighbourhood. The same cross wiring of services and personnel, along with shabby maintenance, produce that effect. This expensive piece of real estate now has the same glorious messiness and general shabbiness that the city as a whole seems to revel in. Upon request, a polite guard opens the gate and lets them out. They find a little stairway that leads to a small footbridge that climbs over four huge water pipes leading them to the other side. Her first feelings are one of trepidation. But her instincts and the encouraging words of her friend, who has visited the city many time before, egg her on. Sure enough, she realises her fears are totally unwarranted. They are welcomed by light, sound, music and people. The neighbourhood doesn’t seem to be asleep yet although it is well past midnight. 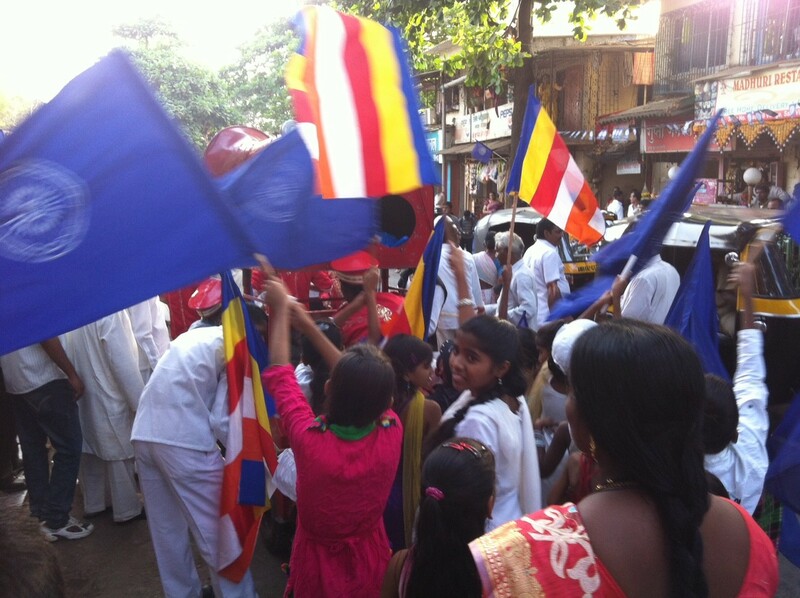 They move closer to a blue structure with a wheel exactly like the one on the Indian flag. People are busy decorating the structure in and out. Kids, speaking in impeccable English, approach them asking where they come from. Their smiles become wider when they realise the two gate-crashers are guests from the hotel. They point out people from the crowd who work there. Apparently about a third of the working adult population, are employed by that establishment as well as other hotels in the vicinity. She recognizes a waiter that served them breakfast in the morning and they exchange smiles. When asked what are the festivities about, the kids inform her that it is in preparation for Dr. Ambedkars birthday and they are all going to go on a march as part of the celebrations. Suddenly the world seems different. She knows who Dr. Ambedkar is. The draughtsman of the Indian constitution and beloved leader of the Dalit communities of India, historically referred to, with prejudice, as untouchables, and now a vibrant, upwardly mobile part of Indian society, a society that may or may not have got over its hang ups about caste. Her friend points out that he and Dr. Ambedkar went to the same universities abroad, London school of Economics and Columbia University. That night, from the vantage point of the settlement, the whole neighbourhood looks different. Her hotel looms on the horizon, a gigantic structure, looking like a castle atop a hill. She laughs on realizing that the strict but abstract security measures could not have been targeted at this settlement for sure. Since the two are clearly enmeshed with people coming in and out constantly. They respond to the invitation of a resident and come back the next day to the same place. After participating in the Ambedkar Birth anniversary march for sometime, they return to the neighbourhood to clearly see its physical and historical identity as a village that existed decades before the grand institutions surrounding it were even conceived. As if to make the point, some cattle wander around, herded by a young boy, coming from the lake nearby. 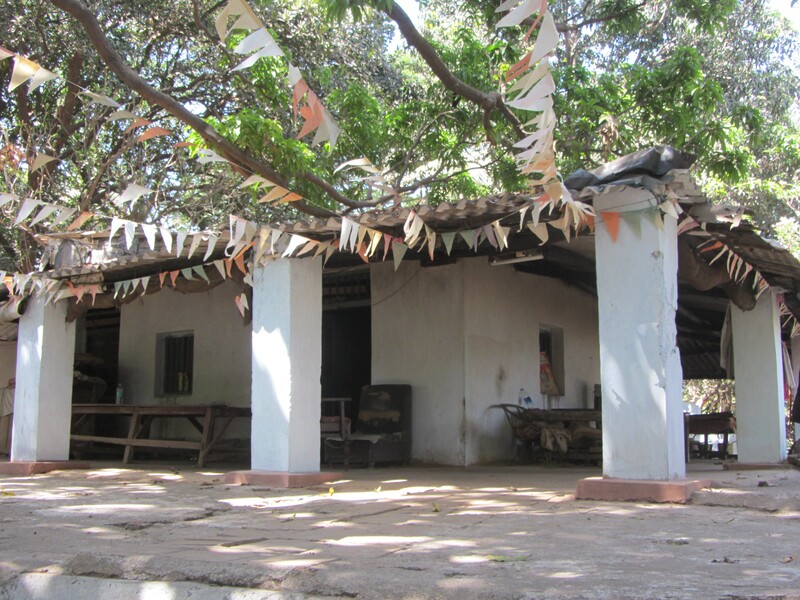 The village is historically connected to a vast natural habitat, which has slowly been closed off to the public, though locals still find their way through. An engineering college occupies another huge chunk of land at the back of the village. Its compounds are heavily gated and porous at the same time. They meet a man just outside the college wall in his small farmhouse. The house, complete with a cowshed on one side and a well on the other, is strikingly reminiscent of similar farms you see in villages of Uttar Pradesh. He points to a back door that leads into the engineering campus informing them that employees living in the village regularly use it. They enter the campus through this small side gate and are absorbed in another world altogether. Lush greenery and monumental structures populated by self-important engineers and official looking academics with ballpoint pens tucked away in their shirt pockets. Before they can fully process what’s happening, security guards demand their identification and insist they must register at the main entrance. Feeling unwelcome they leave the campus and walk back to the hotel through the village. Back onto the footbridge, that connects the village to the hotel, the two have the strange feeling of having walked through a secret passageway, of having broken through a firewall. One that exists between worlds that shares more than their inhabitants care to acknowledge. One wonders if that small bridge could not be turned into a honourable link between two quintessentially Mumbai urban forms: the globalized high-rise and the homegrown neighbourhood. Perhaps recognizing this co-dependency is also an important path to sustainable urbanism. 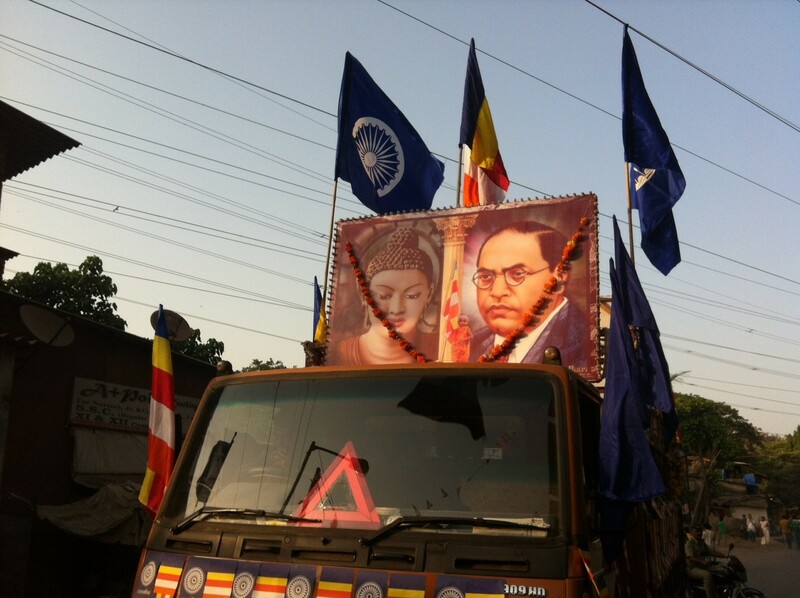 Click here to see photo album of Dr. Ambedkar’s birthday celebration in Paspoli. Laura Alonso, Bharat Gangurde, Shyam Kanle, Bo Tang, Geeta Mehta, Matias Echanove and Rahul Srivastava have contributed to this post.